The students of the Faculty of Tourism and Hotel Management participated in the first forum of the Higher Institute of Hotels and Tourism EGOTH which was held on Monday 25/3/2019 at Helnan Palestine Hotel in Alexandria. 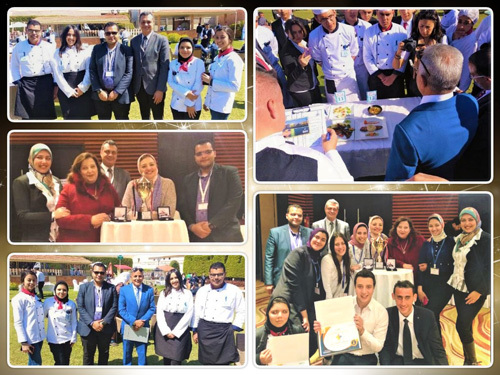 The forum included four competitions for all the hotel management and hospitality students in all Egyptian universities, higher and middle education institutes, tourism and hotel schools as well as administrative staff in the field of hospitality all over Egypt. The four competitions were as follows: “Talented Chef”, “Innovative Head Waiter”, “Professional Tour Guide” and “Professional Tour Operator”. The judges of these competition were the most famous chefs of a number of Egyptian hotels: Helnan Palestine, Sheraton, Hilton and Four Seasons, EGOTH professors of the Hospitality Management Department, some eminent figures from other associations like the Egyptian Hotel Association and the Egyptian General Tourist Guides Syndicate as well as number of faculty members at Tourism and Hotel Management faculties and institutes in Egypt. 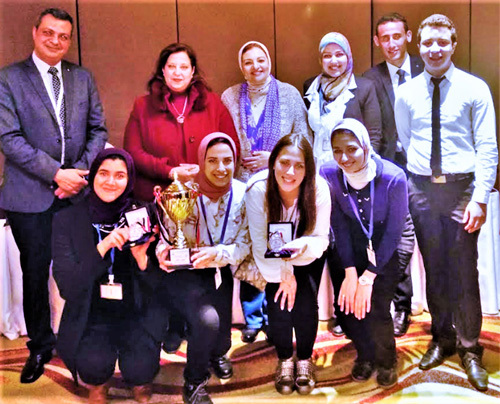 After a strong competition, the team of Pharos University won the “Professional Tour Operator” competition. The team included two of third- year students: Mariam Nabil Youssef and Reem Medhat Ramadan who study in the Tourism Department. The rest of the participant students of the Hotel Management Department also received certificates of appreciation for their distinguished participation. This forum was attended by Prof. Amany Refaat, the Dean of the Faculty of Tourism and Hotel Management, Prof. Ghada Bassiony, the Vice Dean for Education and Students Affairs, Dr. Ehab Fathy, a Lecture at the Hotel Management Department and Mr. Abdallah Mohamed, a Demonstrator at the Hotel Management Department and Mrs. Yasmine El.Sayeh, a Demonstrator at the Tourism Department.